There was an almost complete cone of light running across the space made solid by haze in the air. In a way it reminded me of the beam of light in the days when smoking was still allowed in the cinema but this seemed so solid I reached out to touch it. It’s a common response, as I soon found out when others entered the room. Standing in the beam is fascinating. Looking towards the projector one sees the smoke-defined cone from within; turn and one gets to watch a dot become a curved line and eventually a circle. 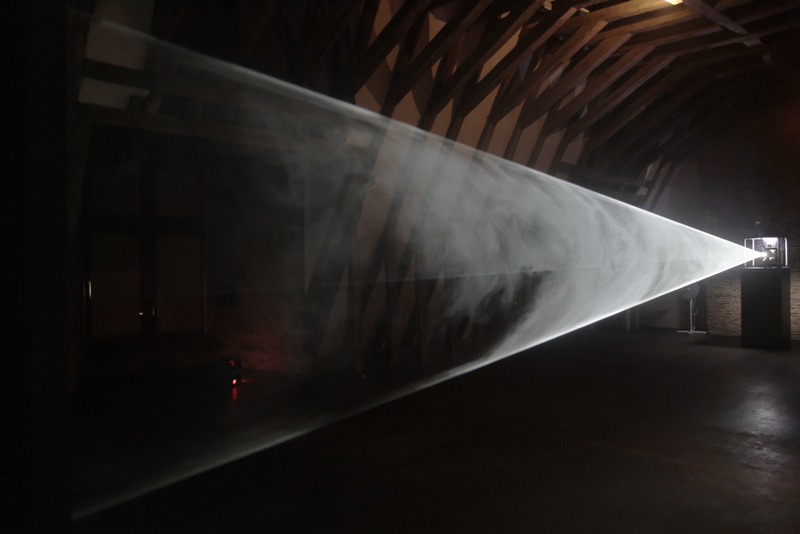 The whirr of the projector acts as a constant reminder that this is film. The haze is generated by a machine. Though the means of production are visible, it’s easy to get lost in the work. This is a work that raises all sorts of questions about the nature of drawing, sculpture, film and cinema (which I wrote about for MostlyFilm last year), but it’s also a work to be enjoyed and shared. I still feel very lucky to have seen the work both alone and with others that first time. I’ve seen it again since a few times – as well as other examples of McCall’s Solid Light Works – and it’s never less than great, but that first encounter was kind of magical. The whole things takes about half an hour to complete. I think I watched the whole thing. At least once. 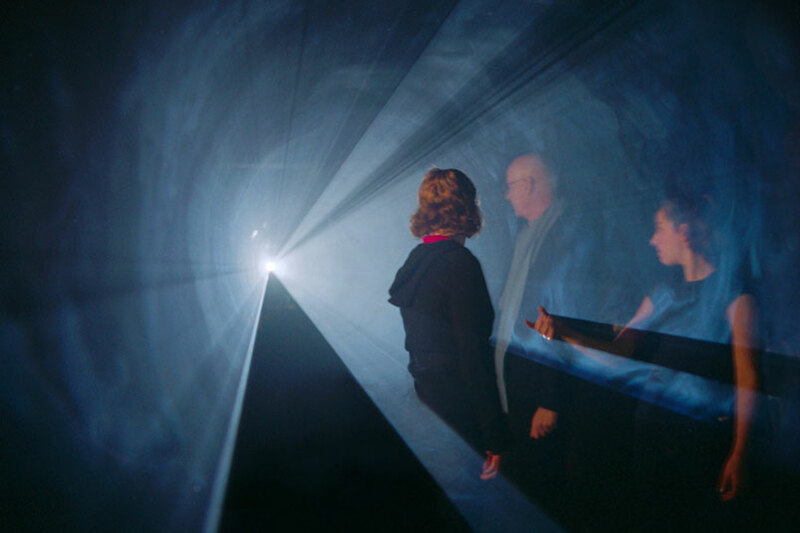 This entry was posted in Drawing, Film/Video, Installation, Sculpture and tagged Anthony McCall, art, drawing, Eyes, film, Lies and Illusions, Line Describing a Cone, sculpture by Ann Jones. Bookmark the permalink.